Over the past year numerous people have reported having issues and failures with both the VB18 Lithium-ion battery for the Godox V850 / V860, as well as the PB960 battery pack, which are also required for the Witstro flash units. Hopefully the worst of this should be over already, with Godox reportedly correcting the faults in subsequent batteries. Though reports of issues are still coming at the moment, likely because it takes time for new stock to reach all distributors and dealers etc. The faulty batteries were either basically dead on arrival, or unable to recharge within a few weeks or so. Or they are only holding around half the capacity they should be capable of. And these may last for quite some time around half capacity, or deplete within a few months to the point the battery can not be recharged at all via the supplied Godox charger. One of the biggest problems in all of this has been that the VB18 and PB960 battery packs do not have any serial number, or date of manufacture etc marked on them. So there is no way to differentiate one battery from another, or even know if they are recent stock etc or not. And this has made it difficult for people to even purchase new batteries they know will be reliable, let alone negotiating reliable exchange units under warranty etc. This also makes it difficult to gauge how the situation is really progressing now, as any issues could still be attributed to older stock. So at this point my main suggestions would just be to try and purchase from reliable dealers. And if possible check and monitor the batteries voltage (when fully charged) yourself, as this gives an indication of their health from the beginning, and how they are progressing over time. 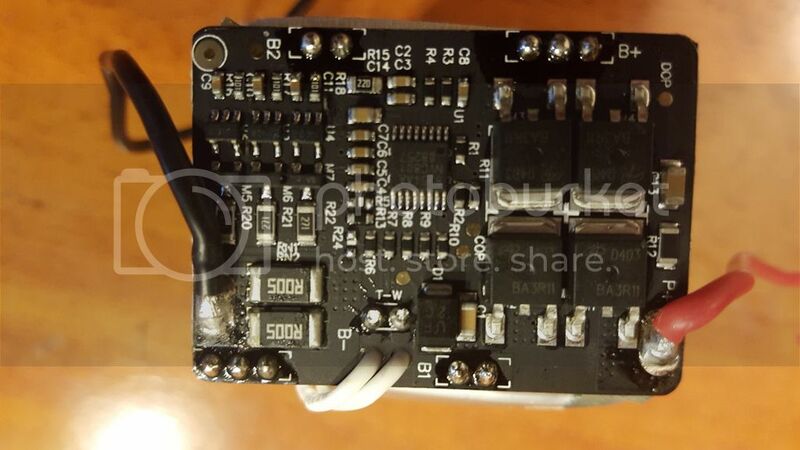 UPDATE – January 2015 – Godox have now informed us that the later improved VB18 batteries can be identified by a faint black text “GREPOW” printed on the top right hand corner of the battery case as shown below. UPDATE – April 2015 – The latest batteries now have a manufacturing batch number like 5B13k, printed where the GREPOW was previously (as shown below). 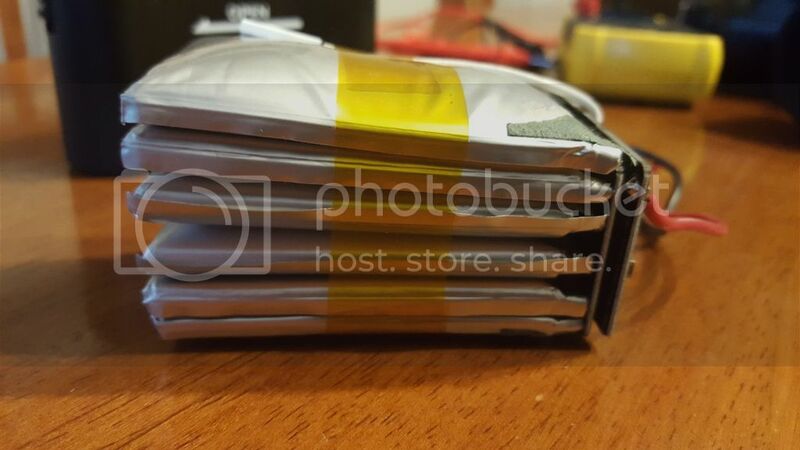 UPDATE – JULY 1025 – PB960 battery packs also now have a batch number printed on them. A good battery voltage when fully charged does not always guarantee a healthy battery, though it does at least provide some quick feedback as to the current state of the battery. If a new battery, after being fully charged, reads below around 12.4 volts across the terminals, then you pretty well know it has some issues to start with. That may be that it will only hold partial capacity (and may still last a decent time with that partial capacity), or that its possibly headed for a fast decline. Both the VB18 and PB690 batteries when new should read close to 12.6 volts across their terminals when fully charged. Around 12.5 volts may still be fine, but below 12.4 volts and you pretty well know there is an issue to start with. UPDATE – It appears some charges will stop charging once the battery reaches 12.48 volts, where other chargers will allow up to 12.6 volts. It has also been pointed out that it can help to check the voltage around 12 hours after charging the battery as well, as the battery can settle and the voltage drop a little. To check the voltage a multimeter is needed. And a decent digital multimeter can be purchased for around $15 or so on Amazon and Ebay etc. On the meter, just set the main dial to 20V DCV, and place one probe on each terminal of the battery. The voltage will then display on the meters screen. Its really as simple as that. You don’t need to be an engineer to use a meter for something simple like this, and they are not expensive. If you don’t want to use or purchase a multimeter, then the other way gauge the battery’s current state is to fully charge the battery, and then simply count how many flashes it will actually provide. This is also really the only way to get a true indication of the current capacity of the battery. A multimeter just gives a much quicker indication if something is wrong when there is a low reading shown. A fully charged new VB18 battery should get close to the 650 full power pops the specs state. I have counted 640 pops a few times, and others have reported up to 660. A fully charged new PB960 battery should get around 400 full power pops with the AD360. With the AD180 and speedlites it gets hard to count, as the AD180 should be double the AD360, and a speedlite around double that again. As mentioned previously, part of the issues experienced are batteries that are only holding around half of their capacity. And its possible more people have this issue than currently realize, because they don’t use or even need the full capacity of these batteries. And as long as the battery is not steadily declining (which you can monitor with the fully charged voltage as above), a lower capacity may not always be something to be concerned with if you’re happy with the number of shots you are getting. Another sign of the same issues with the VB18 batteries is that they will not start charging straight away when you place them in the charger. You will see the charger looks like its computing a number of times before the green lights start emerging and flashing as they should. Also when a battery gets to the stage that the top green light just keeps blinking, like the battery has never reached full charge, that is a good sign the battery is headed for a terminal end in the near future. And once the lights do not come on at all, there is no way to charge the battery anymore with the Godox charger. When it comes to buying the Godox flashes and batteries then, if you’re based in the USA, stores like Adorama and B&H Photo can be a big help, as they will deal with any issues promptly. Note – Although Bolt Branded Battery packs at B&H Photo are priced quite high, Interfit Strobies are exactly the same, and replacement Strobies PB960 batteries are $82. And VB18 are $50. UPDATE – Adorama now sell the V850 and V860 flashes under the Flashpoint Zoom name. As well as the VB18 batteries for around $50. For those buying from Amazon, Neewer (one of the cheapest retailers of the V850 etc) have at least been replacing faulty batteries, after a few negative reviews prompted them into action. So they are at least aware of the issues. If you are having issues with your current Godox batteries you will need to contact the seller first and try to arrange an exchange. Godox have previously instructed their distributors to inform sellers of the issue. UPDATE September 2015 – Lindy is away on maternity leave until late February 2016, please contact – godox@godox.com instead. The V850 / V860 and Witstro are otherwise great flashes, and hopefully any major battery issues are mostly resolved now. It takes time to see how the batteries are holding up now though, and all we can do is monitor them over time. Godox – V850, V860C, Witstro, PB960 Review. I received batteries from photo-shop-studio.com.au (20 July 2015). I just thought I would say that these were the ones marked with GREPOW so maybe they are not the fastest moving stock. I am hoping these work as advertised otherwise this will be the end of my GODOX association. Personally, GODOX have got away with murder with basically a defective product. Great flash, great concept but poor execution. The GREPOW should be ok. Photo-shop-studio are very good though, so they should look after you anyway if there are any issues. I have also inflated battery vb-11.I cant find any seller with 5B13k typed battery.Do you know any??? I write after being contacted by Lindy two months ago. Things have remained the same but my (two ) failed PB960’s units have been replaced by the respective sellers and the PB820s was repaired by the Coshine group (took two months). I am told by LIndy that they do-not make the PB820 any more so they are not going to do anything and I will just have to live with, thanks a lot. I seem to be at an impasse regarding the PB820 and Godox have passed on fixing it as a gesture of goodwill. Luckily the suppliers have repaired or replaced the faulty items so I am up and running with the rest of my kit. I hope things I buy in the future will be more reliable as Godox make really good pieces of kit. I am hoping there will be no more reliability issues but I will update the blog if it happens. I myself have around 5 dead VB-18 batteries in storage. I pretty much stop using them once they start having issues because I don’t really want to be carrying 3 or 4 spare batteries which only last 50 pops on a shoot before they give out. It might be old stock, but just yesterday I had another two batteries showing problems. The first sign was when a battery died unexpectedly quickly during a shoot. I also note that the problematic batteries display swelling symptoms. The square sides bulge out slightly making it more difficult to slide in and out of the flash units. I have one that simply will not go into the flashes anymore! (not that it matters, because it can’t even be charged) – this is opposed to new batteries or non-problematic batteries that pretty much slide all the way out freely on their own weight when you release the retaining catch in the flash. I am actually concerned about the swelling issue, given the history of lithium batteries in phones – it’s only a matter of time before we have stuff catching on fire on shoots, or when charging. Yes all of my batteries from before the “GREPOW” period are all dead now, and a number of them swollen. Quite a nice pile of them. Fortunately though I haven’t heard any complaints (touch wood) of issue with batteries from this year. These batteries are expensive to buy. I bought 2 extra batteries for 4 flashes and two of them have died. One with a flash and the other as a spare that expanded like it’s about to explode. Will godox help out in any way or have we just wasted money to field test their poor quality batteries? The ones that work are great and have no issues but this is such a high fail rate. You say all your batteries from the early period are dead? I think I managed to repair my faulty vb-18 battery. I have the earlier type, so following your advice I measured the output of fully charged battery and the multimeter showed only 12.24V. My charger never showed last led blinking, only last two, then charging always stopped. Also, I think my v860c is capable to make only around 150-200 shots (not full power), but never made exact measurements. Somewhere I’ve read that battery issue related to cell balancing, there 3 of them inside. If cell’s voltages are very different, the charger prematurely stops the charging process because one of the cells reaches the charged state earlier than others. I’ve cut holes in housing to reach contacts of individual cells and my measurements confirmed that – two cells were only around 4V instead if 4.2V. I pulled them up to 4.18-4.2V by 5V charger (carefully measuring the process by multimeter). Not surprisingly, after putting the battery into the charger, the last led started to blink like it should in the final state of charge process. In the end of charging process I measured 12.64V. I’ll have a wedding session this week so full testing is coming. Will post results. Never mind didn’t scroll down far enough! Thanks. This is great info! I’m glad I’m not the only one with battery issues. My battery on my PB960 seemed to fail completely as I was testing it tonight. I had just bought it almost exactly 1 year and at that time I returned 2 previous PB960 units before I received a working one from the local seller here in Toronto (who doesn’t seem to be in business anymore). I’ll try the voltage test with my multimeter I give a good charge but I’m not holding out hope. The dang thing will turn on for a split second then shut down right away. Hopefully Lindy can help me out…otherwise I’ll try one of those aftermarket batteries and cross my fingers! What about PB960? is there any identification for the new batch of the PB960? Any photo to indicate? Sorry no I’m not sure about the PB960. I think they may have a batch number printed by now though as well. I haven’t heard any issues with the PB960 from this year though. cable DB-02 (7.43 USD), 2x cable CX for Canon (2 x 10.46 USD). My battery has the sign GREPOW (date of manufactured 15. 11. 2014). The voltage of my fully charged battery is 12.53 V, after 24 hours is 12.52 V. Hopefully it will be okay. With my Canon 580EX II work perfect, but my second flash YONGNUO YN600EX-RT don´t use it like external power source, anybody help? 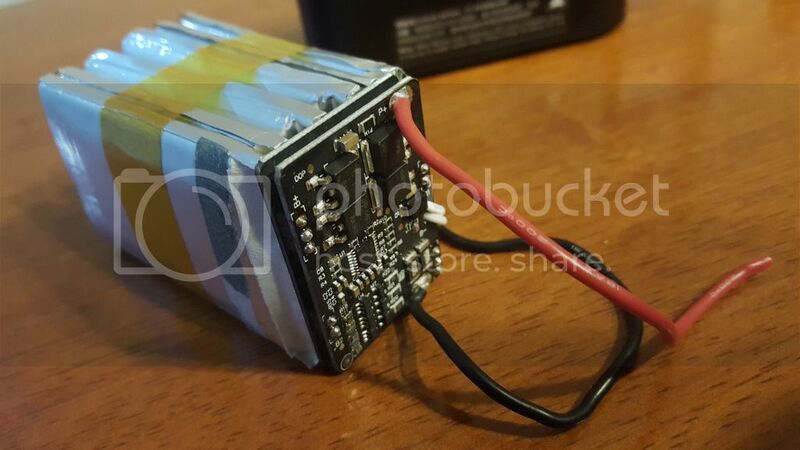 @Frankie For clarification, I assume the drilled holes are just for monitoring voltage, but that you are applying 5v evenly across the 3 batteries via the battery contacts, until they are within .5 to 1v of each other? holes are not just for measuring, they are also for applying charging voltage to each individual cell. You apply nothing to main contact (Ub), just use it for calculating 3rd cell’s voltage (U3 = Ub -U1-U2). Take a look at my image link in the post above. You have to apply 5V to one cell at a time, blue is negative, red is positive. It is easier to connect multimeter contacts in parallel to 5v power supply output, so you can use multimeter pins to touch cell’s respective + and – contacts. Apply charging current for 3-5 minutes, then disconnect power supply and measure cell voltage. if required voltage (calculated before on other cells state) is not high enough, repeat the process. When finished, go to next cell and charge it to required level. You have to balance cells within 0,01V. For example: 4.07V, 4.08V, 4.07V is good. Don’ forget – first step is measuring and calculating required voltages for cells. Notice: if cell1 and cell2 have volatges higher than in cell3, you have to charge up cell3 anyway. In that case you have to access cell3 by drilling hole #3. My both faulty VB18 batteries fortunately had lower voltages on cell1 and cell2, so accessing cell3 was not needed. Of course, yours may behave differently. I took the casing off a dud battery after reading your post. I found that the contacts were right at the edge of the plastic casing. Based on the diagram, I would have missed them, I think. Also, it appears that once you open the plastic casing, it won’t snap back together, so it might have to be taped to secure it, but there isn’t enough slide in/out clearance to include tape, so it would have to be on the top & bottom only. Are you using a generic 5v power supply, like from a cell phone charger (or a radio shack multi-voltage charger), or something specific to L-ions? I’m using a conventional 5V adapter, I think it has current rating approx. 1000-1500mA. Going further, hole #3 is not needed at all, because it connects to battery’s main (+) contact. So, with only two holes we can access all 3 cells directly. You are absolutely right, holes must be closer to the edges of casing. Another important notice – when cutting the housing avoid deep penetration of knife, etc. Hitting Li-Ion cell with sharp tool can cause explosion and immediate dead of the cell. Very dangerous. Do you think it would be possible to open one of these without ruining the case? When you look back at how you opened it, might there have been a better option? Anyway a few shots of what the battery looks like, for those inquisitive types like me. Ordered a new battery and testing it after a full charge..
And a couple from the shoot that the battery failed,thank God for backup speed lights,shot thought a dish. Sorry the video link was this one https://youtu.be/SOZj4MZHNqE to show the battery fail. Hi, is there a batch number or any mark (like vb18 has) on pb960 batteries? To be sure it is new imroved design. Yes there is a batch number printed on the top of the PB960 batteries now. I will upload an image later. I owned the V850s since Feb. 2014… I still have no issues with my batteries. My tip, just make sure you charges the batteries if it hasn’t been used in 30 days. Thanks, that certainly appears to be true that it helps to make sure you try and use the flash a little once a month and keep the batteries with some charge in them (storing them fully charged is not really the ideal though either). Though these batteries that have had serious issues would not have been saved by that. Not everyone has been affected with the faulty batteries, and it sounds like you are one of the lucky ones. Does anyone know the differences between all the supposed markings? I’ve heard of CROWN and IES in addition to GREPOW. This is the only site I’ve seen batch numbers and haven’t seen that anywhere else. I actually bought the Neweer version and it’s pretty nice outside of the battery issue. It’s honestly not seemingly that much more powerful than my YN560’s though, but faster recycle and less battery swaps are the big enticing features I want to try to maintain. I wanted to get some godox batteries as they seem to be a better bet with the whole “we’ve fixed the battery” thing. Oops, I meant to say the VB18’s if that wasn’t obvious. I think they may have changed manufactures, hence the different markings. Though there have been very few issues reported even from the early GREPOW units. I haven’t heard any complaints from later marking versions. Neewer have likely had some older stock in circulation. I just want to add that buying the V850 rebranded through Cheetahstand might be a good option for those concerned about batteries. Edward tests every single item before shipping, and in the event of a failure you deal with him directly instead of sending the item back to China. Unfortunately, this is only if you live in the US. I have no connection with them other than as a very satisfied customer. Godox actually pointed me to cheetah stand. It’s better priced now, but several months ago, it was almost twice the price. And I was mostly toying with the idea. Since then, Adorama has options as well. But I’ll probably grab a battery from Cheetahstand next. Actually, if you open the case on one of the problematic older batteries, there is an identifier on them that reads “Great Power”, which is where the new “Grepow” on the new cases comes from. Same producer. But hopefully with a better product inside the casing. Thanks, yes though it was after the Grepow when they changed manufacturer as far as I understand. My pb960 battery has failed on me after three months and light usage. I have emailed Lindy and have been told to talk to the supplier. after a few ebay chats with them they stopped replying (source area is the name) and I have not heard anything more. Someone mentioned a 90 day guarantee on the batteries but I have seen nothing in writing. The current PB960 batteries should have a batch number printed on them. I uploaded an image to the post. So you would need to check with the seller if there batteries are marked like this. Its frustrating that Godox still do not print a date on them, so only they know themselves when the batches were produced. I think Godox’s standard warranty policy for Lithium-ion batteries is just 90 days (which is not uncommon for Lithium-ion batteries) though this was unacceptable when their batteries had clear issues, which would often take more than 90 days to recognise. I just got my godox witstro ad360 one week ago. And I can see that the number on the battery is 5G08J. I just Hope it is a newer manufactured battery. Only the recent batteries have a batch marking at all, so you have a fairly recent battery there. I purchased a the Godox Wistro Ad 360 kit in November 2014, Have not used it a hand full of times, I have recently tried to use it on a senior session,a wedding,and a newborn session this month and it failed all three times Lindy tells me they will not replace it . I bought it through Amazon sold by Baiklov waiting a response back from them. I am so angry that a person pay over $400.00 for equipment and under a year old can not get help to replace it. I will not buy from this company again that is for sure . I spoke to Lindy, and you will need to try and get a response from the Amazon seller first. If you can’t make any progress there Lindy will try and see what she can do to help you out. Thank you for your email,we are sorry for the problem that the product caused. ood service ,No fee 1 Year Warranty(no including Shipping cost ) is our company policy.Import duties, taxes, and charges are not included. Since you have used this item for 10 months,you can returned it for repaired only. Besides , pls be noted that it is your responsibility for both way shipping fee , It is about $33 . And as the seller,we will pay for the repairing fee. If it is no problem with you,we will provide you the returned address. Any problems , pls feel free to contact us .Thank you . As you can tell the seller is not will ing to replace the battery just try and fix it and the comment about the 10 months and it being used is to funny If i had not planned on using it I would not have bought it , I can buy a new one right now on sale for just 20.00 more then it would cost me to ship this one back. All I am asking for is a new battery I like the flash and want to use it . I should have mentioned this as well, as you don’t appear to be aware, though its not good for Lithium batteries to be stored for 10 months without use. Ideally they need to be used a bit and recharged once a month even if you’re not actually using the flash. And then ideally they shouldn’t be stored fully charged either, apparently 40% charge is around the ideal. Though in that case you likely run the risk of having them run empty, which is worse still to leave them stored with no charge at all. So I personally try to leave them around 3 lights (or 75%) if I know they are not getting used much. Constantly topping the battery up to full is apparently not good for them either, or running them completely empty. So it is very possible to kill a battery fairly easily in this period just from improper storage or maintenance if you like. That’s why Godox and many others normally only provide 3 months warranty on Lithium-ion batteries. Its only in this case that Godox clearly had faulty batches of batteries that they have made rather large exceptions to the regular policy. Also November last year is getting close to the limit of when there were faulty batches. I don’t make the decisions at Godox, though I have told them I won’t be harassing them any more for batteries sold from 2015 on, as its pretty clear these have not been faulty batches from that point. So this is why Lindy has originally said they would not replace the battery, because your case is becoming borderline now at best. I asked her though to please give you the benefit of the doubt if the seller could not help. So long story short, if the seller can replace the battery for $33 shipping I think that is very reasonable, and I personally wouldn’t be unhappy with that 10 months on. 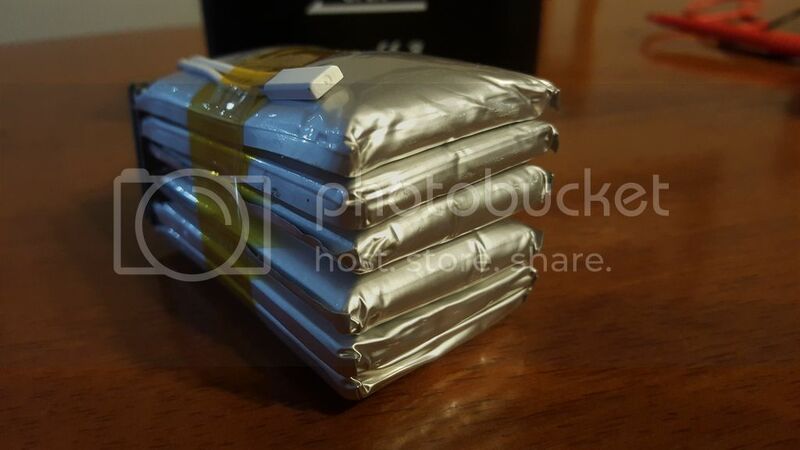 Maybe you can try asking if you can not resend your old battery back to save half the shipping. You can see what Lindy says, though again I personally don’t think its unreasonable if she says that the sellers option is fair. This may all sound a bit disappointing, though the fact is Lithium-ion batteries are not perfect, and they do take a little maintenance. And depending on how you use and the is going to effect how long the will last. There are going to be some people from time to time who get a bit of raw deal after the 3 month warranty from no fault of their own. The vast majority of batteries appear to be fine now though, and sellers like Adorama provide their own 12 month warranty on the batteries as well as the flash. At the end of the day though Lithium-ion batteries are going to be an ongoing running cost to some degree. Also when the seller says to repair it, they would need to replace the battery and attached circuit board, so this is essentially replacing the pack anyway. And I very much doubt they would be spending any time doing that, they would just replace the whole battery with case. And when they say you have used the item for 10 months, they just mean as opposed to the item arrived and was found faulty within the first 30 days or whatever their policy is to exchange the unit. So this a is a warranty repair now, though for a battery pack its likely going to be a replacement anyway. As I have stated before I contacted Lindy about my now defective PB960 battery. I have emailed a number of times and have been told to contact the seller. The UK (china linked) seller, an ebay operation called ‘source area’ has repeatedly rebuffed my questions about repair or replacement of the battery along the lines of ” we can not send batteries through the post” and any other excuse they could come up with. I contacted Juan, who was very pleasant and after parting with £72 including delivery have a less than two month old battery with the latest code on. I hope this will prove to work well as I am happy with the flash units. This is a shame, the flash equipment is great and the designs are well thought out but a large company like Godox should have the conscience to admit the messed up and replace or repair the faulty items they have supplied. Gwen (a former employee of Godox) seems to have gone some way to replacing the faulty units but the current incumbent, Lindy, offers no service at all. Ok thanks. Lindy is actually the sales and customer service representative for the western region, and has been with Godox for as long as I have been in contact with them. Gwen filled in for a while to help Lindy deal with the battery issue inquires. I’m not sure if she had another role in the company previously or not. Its not been great the way Godox have dealt with the issues sometimes, though at the same time they have helped a lot of people as well. I’ve given them a pretty hard time over this at times, the hard part though is you don’t know who is actually making the decisions. Lindy is away now anyway on unexpected early Maternity leave now until late February. At least the batteries do appear to be working well now though. I think its only the quite recent PB960 batteries which have the batch number printed on them. Though I haven’t heard of any issues with batteries from this year without the batch number either. So touch wood you should be ok there. 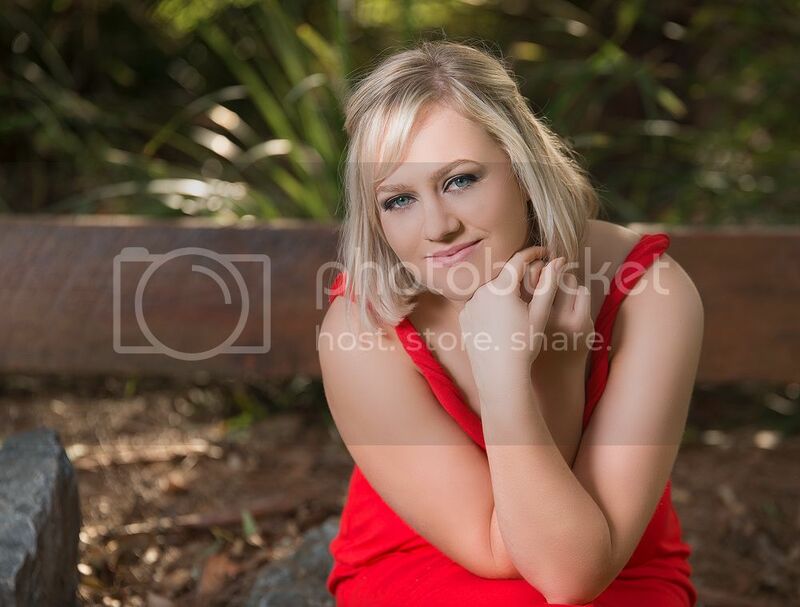 UPDATE September 2015 – Lindy is now away on maternity leave until late February 2016. For any issues around batteries please contact – godox@godox.com for now instead. I now have 2 faulty pb960 batteries. The first one came with the witstro 180 and started not holding charge for more than around 40 full power flashes after full charge. I checked voltage and after a full charge was 11.4v. I decided to replace with another battery unit and this recent one only charges to 11.7v. I’m really disappointed in this battery as the whole kit is brilliant and only let down by the battery. I got in touch with the first seller on Amazon only to be told the guarantee only lasts for 3 months. As I bought it in Dec 14 I was out of luck. I also contacted Lindi at Godox – no luck there either. They didn’t seem willing to help at all! I am able to send this second one back but now can’t trust that I’m going to receive a good copy and that these items aren’t just drop-shipped straight from some old stock somewhere without the seller being able to check the items…..
I’m at a loss really, and can’t depend on my godox kit at all yet. Hope someone has some good suggestions. photomart is on the internet but the batteries are not on the web it as we speak so give them a call, . I have one now and it functions fine but it is early days!!!! I’ll give them a try. It’s an extra £30 on ebay and amazon prices but at least I know they’re from the new batch which is the reassurance I need. I’ve just sent the second battery back as they agreed for me to return it. I’ve tried contacting a few distributors to ask about batch numbers on their stock but not had much luck, and it seems that there’s a lot of old stock around without the markings still. Just bought 2 V850II was surprised that neither one came with batteries marked GREPOW. One battery is fine the other is DOA. One battery works fine in both flashes the other is a dud. I’ve emailed the seller. The seller is duoduobox on Ebay. Ι was not “lucky” enough to have an DOA battery.It was used just for a few poses every Xmas and new year eve so it didn’t show the problem until it was a wedding that had to be covered…and then it was out of warranty and although i was contacted to the seller ,even the Godox,after some emails of promises nothing happened…just bought a new battery.Fine flash but the battery is the Achilles heel although it had to be the big plus of it! So I now have 3 batteries marked IES, which are all faulty. Thank goodness the sellers were prepared to send me batteries marked with GREPOW or refund me the cost of buying a new battery. Godox themselves have never responded to any of my emails. Ok I have something new here to share that has not been mentioned any where in this thread. I recently got my hands on a Genesis GF400 which is the Calumet equivalent of ad360. I did a voltage reading from the battery and my meter instead of 12,60 read DC 263 and this is despite the back of the battery reading 11.1 volts. At the bottom of battery there is the batch number printed as mentioned previously here. So it looks like we have a new PB960 from Godox, and so far every thing has been functioning properly. Just to add to this here my Sunpak battery for my 120J with its nickel cadmium cluster reads DC 337. (seriously, my multimeter reads ridiculously high voltages reading when the batteries are going flat). Both of them are doing fine, plus I have my Sunpak TR-PAK II for more than 15 years and it has always shown this voltage. Ok I assume you must be talking about the voltage coming from the output port at the top of the pack then? That’s normal to be around 300 volts. There is no way the battery itself is reading 263 volts. The battery terminals are where we are getting the readings around 12 volts. I have contacted GODOX for my battery issues on multiple occasions. Both my batteries have expanded and are not useable rendering my flash useless. Due to the fact that they are not responding to my emails I would not recommend you purchase their products. Batteries clearly had a defect and they should replace the batteries. You would need to contact the dealer you bought them from. Technically I think the warranty on their Lithium-ion batteries is still only 3 months though. Adorama provide 12 months warranty at least if you’re located in the USA. Most of my older batteries have died and swollen as well, though I haven’t seen these issues for quite some time now. 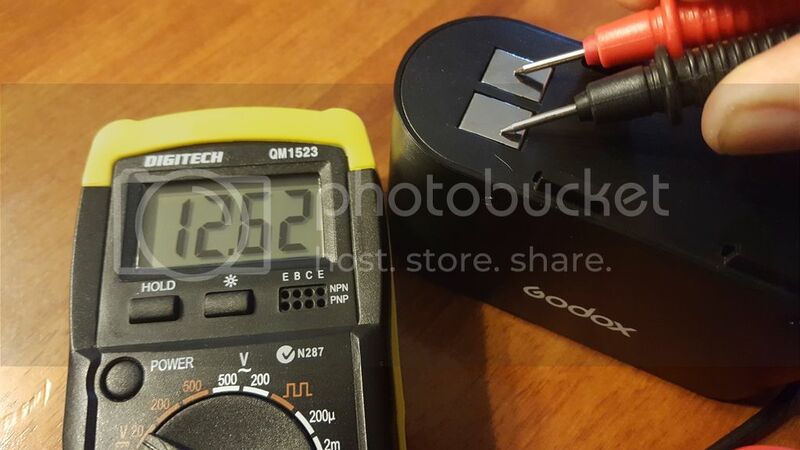 Hello, recently i purchased a Godox V860II and the DV-18 battery its DOA, the light on the charger ever blinks or anything, the multimeter read 6.6v, but i try to read the ouput of the charger but was impossible, its posible to contact with godox to replace the battery, because the seller its not reponfing my emails? The battery hasnt manufacturer number or “GREPOW. You can try contacting Godox, though they generally don’t respond most of the time. You never know you may get lucky though. Its generally up to the seller to deal with any issues like this. Today received a bad battery, fortunately in warranty. Battery had no stamp. Is there some battery issues for Godox v860II in 2017 ? I’m not aware of any widespread issue at this point. Any Lithium-ion system may have a few isolated issues though. I have a 6.5 month old BP-960 battery and it is only holding charge for maybe 25-40 full pops. Since it is past 6 months, the reseller refuses to issue warranty. So do not buy from places that offer only 6 months warranty, if you can. My new «new improved» VB18 died after a 2 years of using. First one died after it got bulge appearance. But second V850 unit (with original battery) works since 2014. Hi, my godox ad360 just stopped firing. Everything works but it won’t just fire/flash. I’ve had the godox ad360 for less than a year now and initially it worked just fine but gradually the duration of how many flashes declined. Now it does not flash/fire at all, everything comes on except for the test light. And it does not flash or fire. Even if I use triggers u could see the signal is being sent and received but no lights. Please what could be the problem. It sounds like your battery may be faulty or just to the point its not taking charge anymore. You would really need to try another battery to know if that is the issue. Then 20-30 mins and hey, you’re done! I’ve use this guy to recell a pack for a Rollei 6800 (quite a tricky job) http://www.recellyourbattery.com/camera-flashes He was efficient and reasonably priced. If you have problems with your DIY solution he might be able to help. I bought 2 new godox v860ii flash around December of 2019. Both came with batteries marked with IES, which appear to be the faulty batch. I have not put them into extensive test but I m just surprise this problem still exist, after first reported 4+ years ago. Quite disappointed by godox as a brand in general. The faulty batteries can be identified by having no batch number printed in the top right hand corner above the “VB18”. have your batteries got a batch number? where did you buy the strobes from?